Pierce Telephone Co., Inc., offers a wide range of equipment for home and business use from single line residential to multi-line key systems. Free estimates and demonstrations are available upon request. Equipment needed for fax machines and computers are also available. 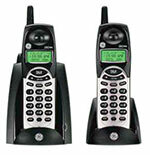 2.4GHz Digital Expandable, Backward/Forward Compatibility, 4 Handset Maximum Expandability, Caller ID/Call Waiting, Handset Speakerphone. With this cordless handset, you receive extended range clarity and full Caller ID and Call Waiting capabilities with a subscription from your local phone company. 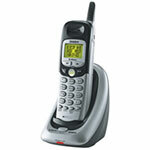 We have a variety of key system phones, stop in and check them out! 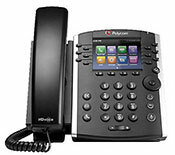 Contact us to Service, Quote or Install a new phone system customizable to meet the size and needs of your business. We appreciate the opportunity to serve your business. We are available to meet with you to discuss all the available options, demonstrate or answer any questions you may have. What is Hosted telephony? Simply, hosted telephony is a telephone system that resides in the cloud rather than in your home or office. 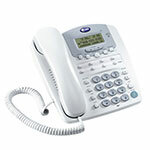 Users access the system through a standard IP handset or a virtual phone. Calls are made and received over a broadband connection. 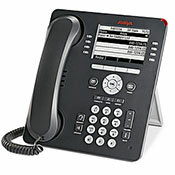 Hosted Telephony removes the need to purchase in-house telephone system hardware and hosts it at our office. This makes it easy to upgrade the system, and provides good flexibility across multiple locations. The advantages of this technique are that it is easy for the service provider to upgrade the system, there’s very little local infrastructure needed at your office location and it provides good flexibility especially across multiple locations. In specific circumstances Hosted can offer a viable alternative to a traditional system. Pierce Telephone can provide both hosted and traditional telephony solutions and are able to advise just what type of solution would suit your business. Call us today to see how Pierce Telephone can get you connected. Backward/Forward Compatibility - Your phone may be compatible with other Uniden phones using 2.4GHz Digital Expandable Systems. Look for the technology icon on our product boxes. 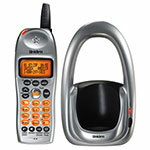 Caller ID/Call Waiting* - Displays the name and number of the caller in Call Waiting even while you are on the phone. *To activate the Caller ID features, you must subscribe through your telephone company. Voice Mail Indicator ** - LED flashes when new voice mail is received. LCD indicates which lines have new voice mail. ** A subscription to telephone company voice mail service is required. Headset Compatible - Allows for an optional headset to be connected for convenient hands-free operation.